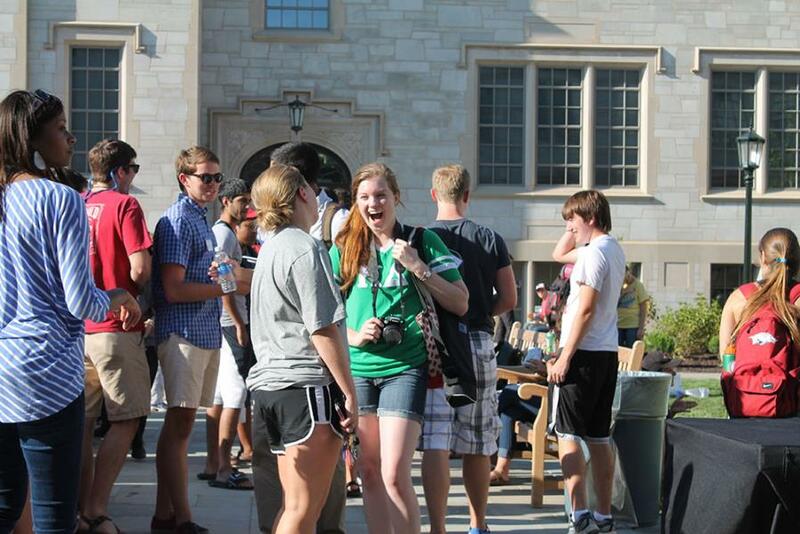 The class of 2017 at the University of Arkansas Honors College now has a fully renovated honors residence hall that houses 400 underclassmen in close proximity to two adjacent halls for honors upperclassmen, giving the college an even stronger sense of community that can be of special value to entering freshmen. Now those freshmen will have frequent contact with older students in the college, gaining knowledge about classes, professors, student activities, foreign study, and opportunities for prestigious scholarships. And that contact will occur not only in the cluster of honors residence halls but in another completely renovated building, Ozark Hall, which houses the honors college administration and staff, common rooms, classrooms, a music room, a kitchen, and a fireplace lounge area. The old honors residence at Pomfret Hall did not receive a strong rating in our Review of Fifty Public University Honors Programs, published in 2012, although the honors college itself did do well in the review. The remodeled honors residence, Hotz Hall, is much more centrally located and has a what are essentially brand-new double rooms throughout. The baths are described as “spa” type baths, and what this means is that each floor has, at either end, a large complex of private baths that also share 4 or 5 sinks. The arrangement retains the community advantages of traditional corridor baths but at the same time provides a greater degree of privacy in the bath areas. 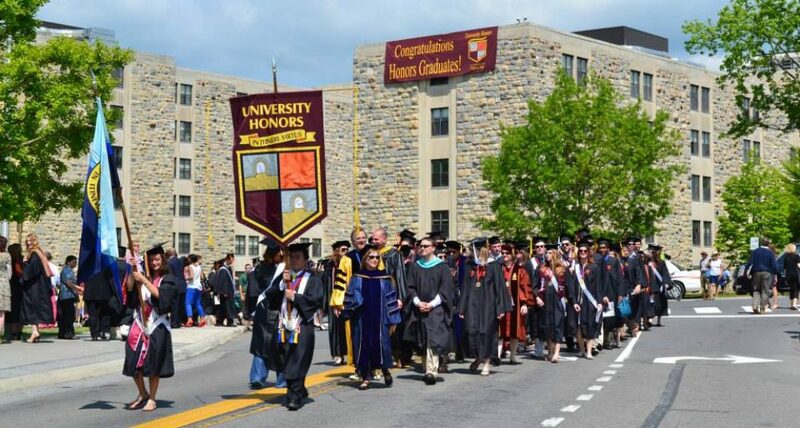 In our posts, we have stressed that the strength of an honors college or program depends on the frequency, duration, and quality of honors “contacts”–extensive curriculum across four years; living, dining, and mentoring involving faculty and upperclassmen; and a full range of honors activities. The new developments at Arkansas reflect the college’s commitment to make the honors experience as deep and comprehensive as it can be.